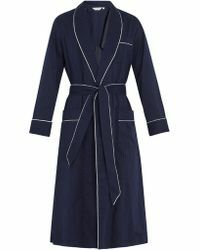 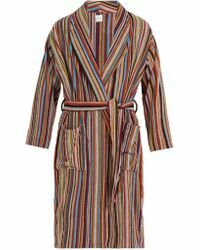 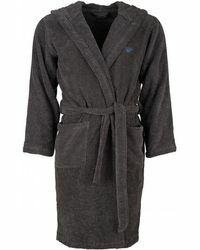 Start the day in style with dressing gowns to make it worth getting out of bed for. 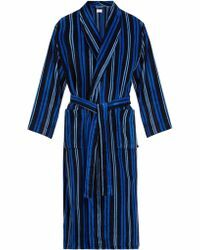 Thick cotton-terry and ultra-soft velour are loungewear classics to reach for post-shower, while classic stripes and checks are just right for Sunday mornings. 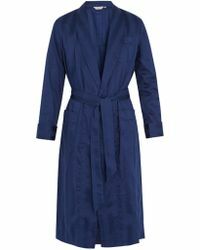 Cultivate a debonair edge with silk paisley or try the ultimate in morning luxury, a cashmere Brooks Brothers dressing gown.